Steve, Val, and the entire Nekos Family invite you to the Hurley Mountain Inn to experience the most delicious home cooked and affordable family dining in Ulster County and the Hudson Valley, specializing in fresh local ingredients. Rich with History from its humble beginnings as a local watering hole, the Hurley Mountain Inn has become a Hudson Valley landmark. Our Restaurant serves everything from our famous wings and Mountain Burgers to complete dinners and Val's famous weekly specials. Over 20 flat screen TVs give our Sports Bar the most complete coverage in the Hudson Valley. It's all happening at the one and only Hurley Mountain Inn! 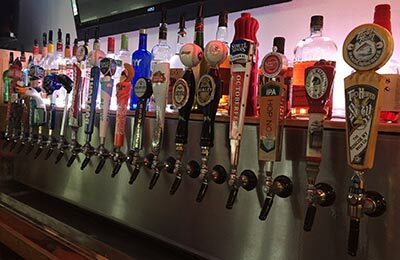 19 Draught Beers from Around the Valley and Around the World!